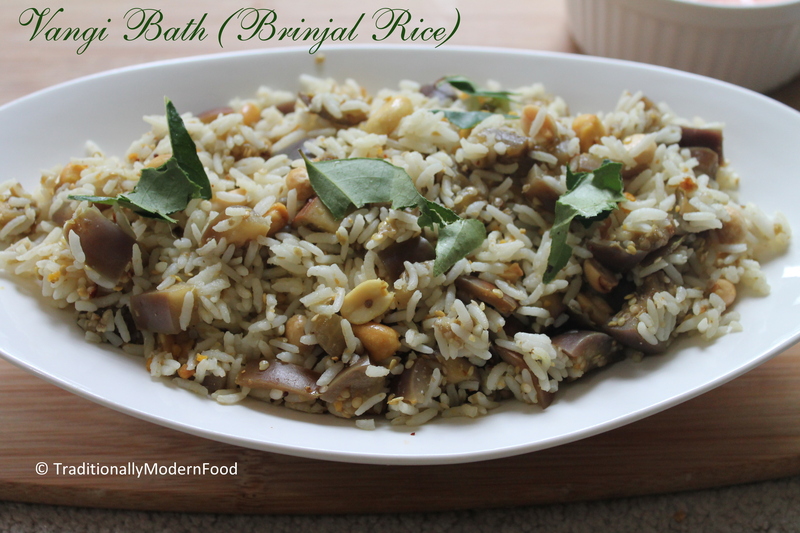 When it comes to brinjal i have many favorites like Gotsu, brinjal rice and stuffed brinjal, Enna Kathirikai Kuzhambu, Sutta kathirikai Chutney. 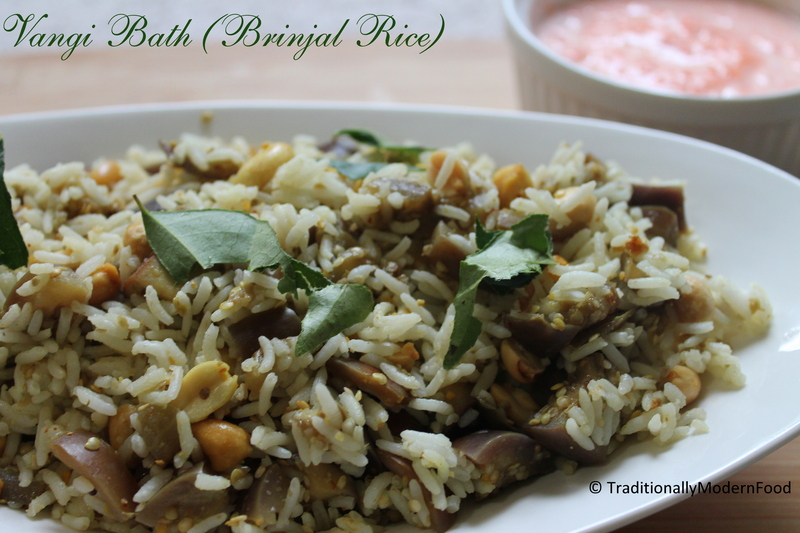 Brinjal rice is great for lunch box. 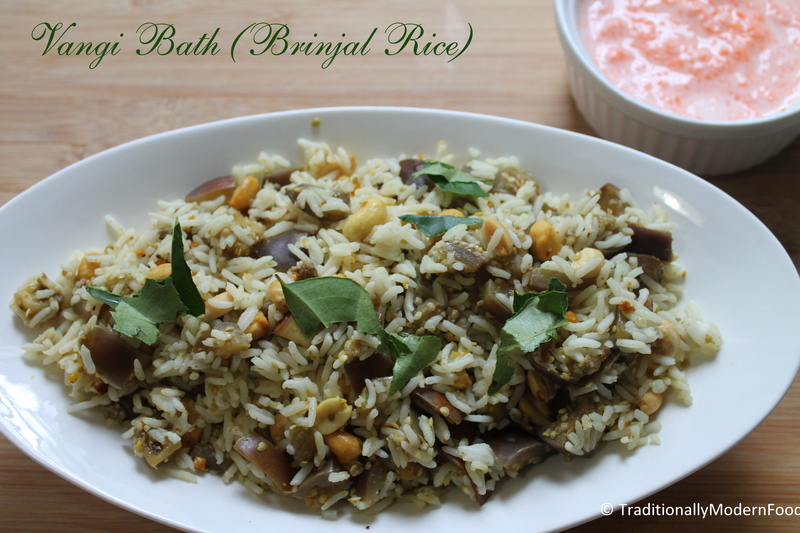 As a kid, this Brinjal Rice with carrot raita and fryoms was one of my favorite options. 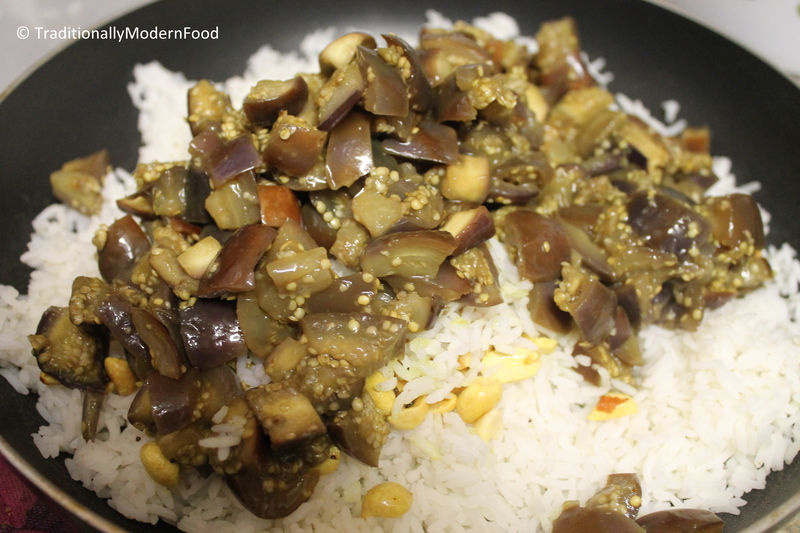 Even if you are not a big fan of eggplant, cant say no to brinjal rice. 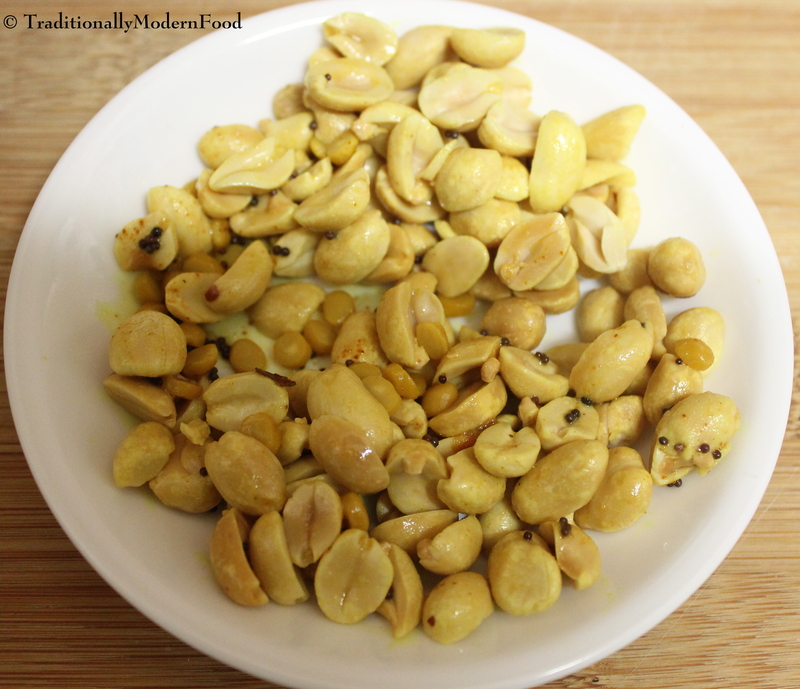 The powder we add is flavorful and makes the rice extra special. Although I do not know some of the ingredients -and I had to google them to get a clear picture of the taste of your amazingly looking dish- but I have to admit your dish sounds and looks delicious. I have a question though, to prepare the bell pepper rice, do you substitute eggplants with bell pepper? This looks delicious! Your instructions are great – very detailed. I can’t wait to try it! Wow..never heard of such a dish vidya!Looks delicious!…i have lots of eggplant in my veggie tray…gonna give it a try!! This looks so great! Can’t wait to try!